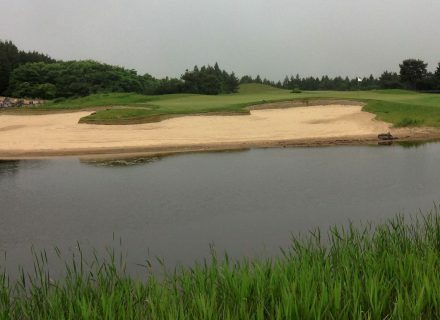 The Club at Nine Bridges, Jeju Island South Korea is ranked in the World Top 100 Courses and in October 2017 became the first course in the country to host a fully sanctioned PGA Tour event. 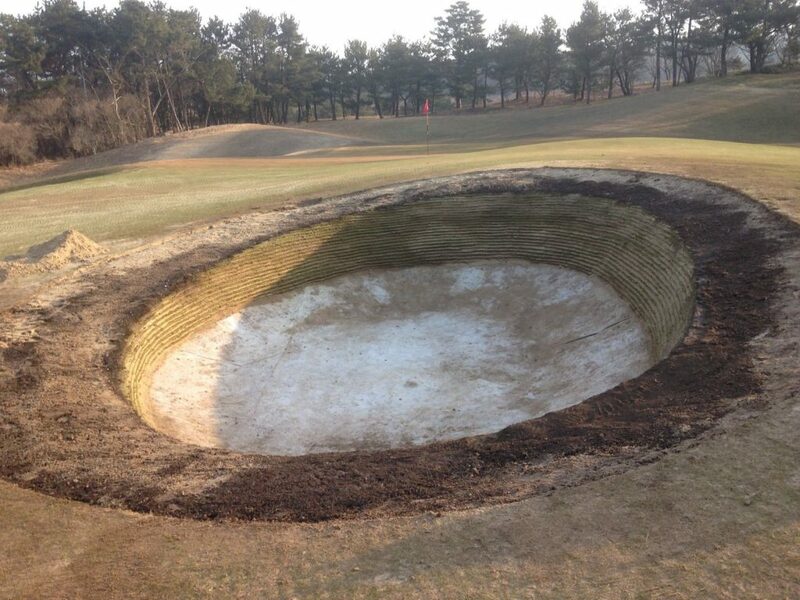 Having already hosted the World Club Championships the advent of the World’s best players playing the PGA Tour CJ Cup heralded a new page in the history of the golf club and South Korean golf as a whole. 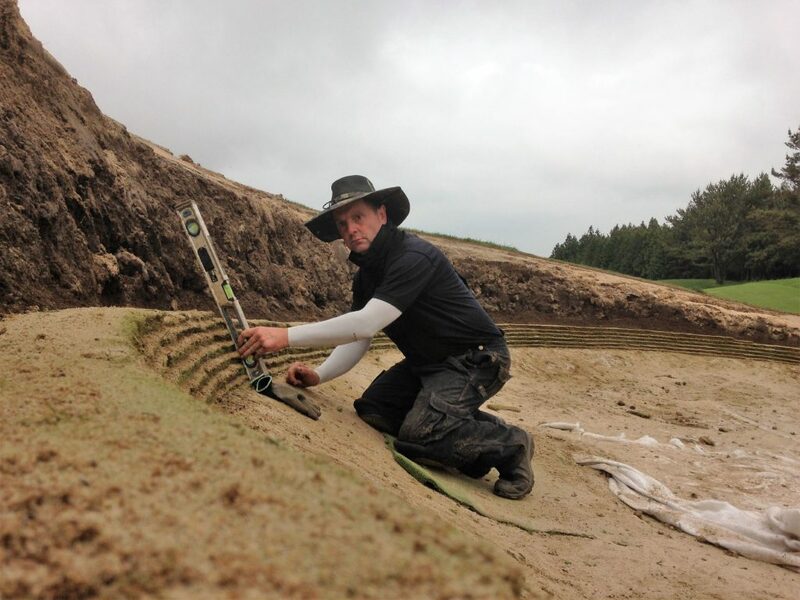 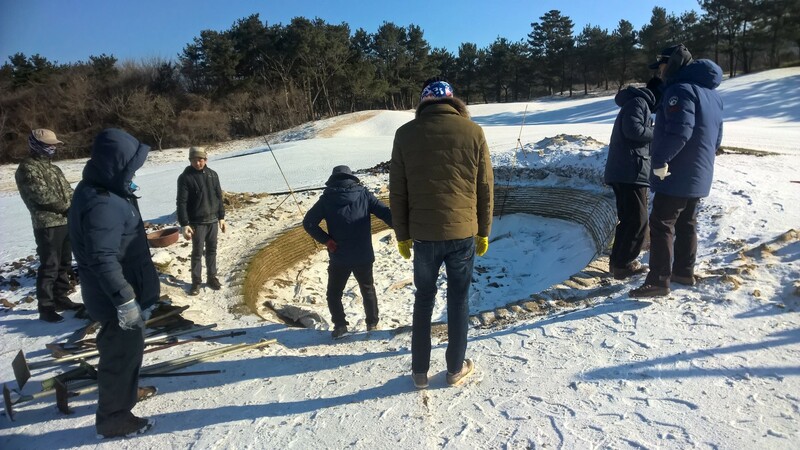 Durabunker Ltd were chosen by the PGA Tour and GolfPlan USA (Original Architects) to execute a bunker renovation project in early 2017, following a product trial in Autumn 2016. 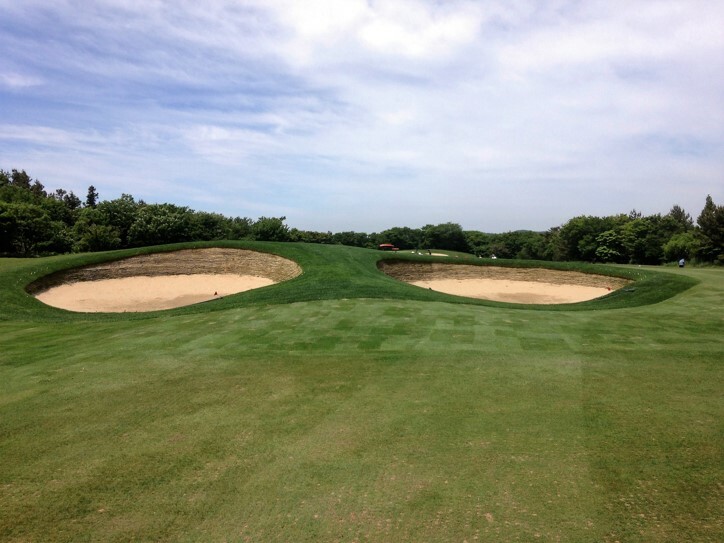 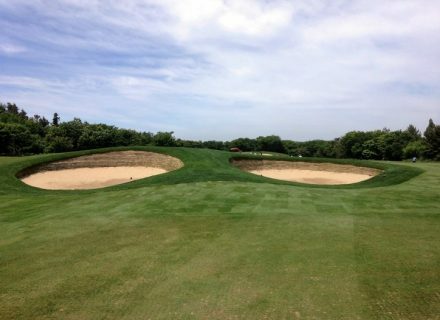 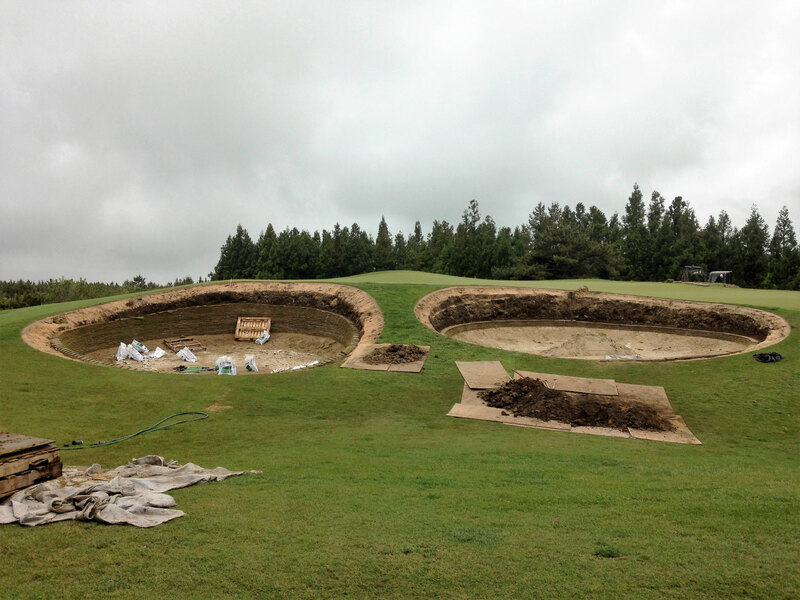 Following the initial trial, a decision was made to move forward with a major bunker renovation project. 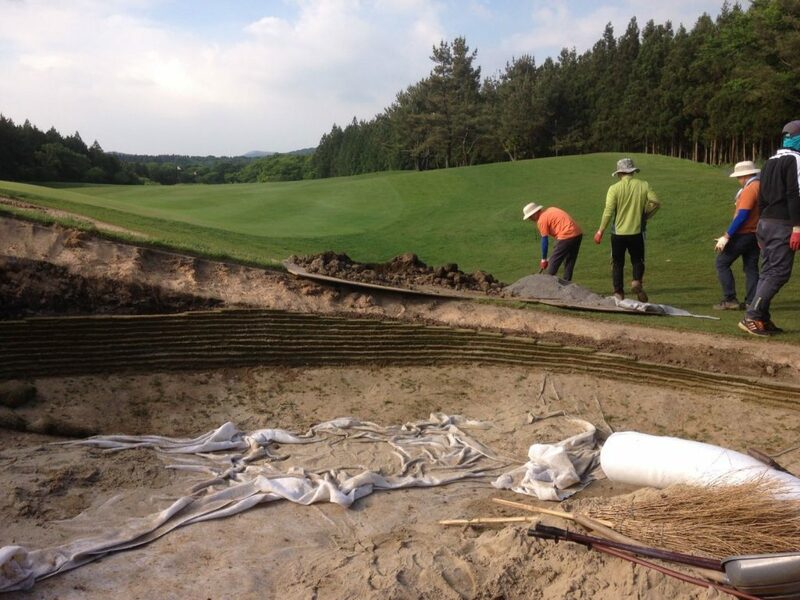 Time was of the essence due to the upcoming PGA Tour event and we were able to respond to a request to have our construction manager on site for the commencement of works within 72 hrs of the clients request. 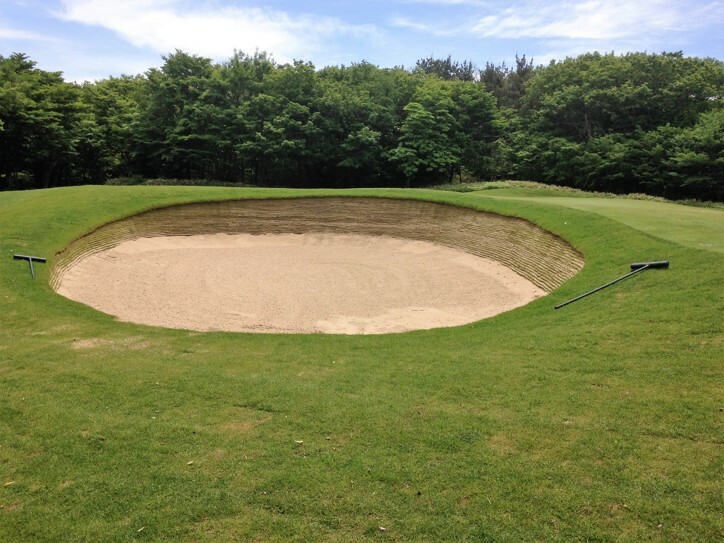 With a total of 6 weeks spent on site by both MD, Rhydian Lewis and Construction Manager David Deere, we were able to lead the bunker renovation, train local staff and ensure quality standards were met at all times. 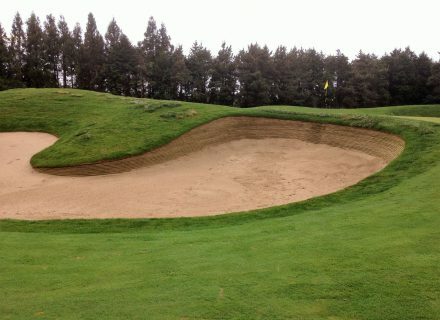 It seemed like a good design solution; that got my attention. Then we got involved with this new project at TPC Colorado, where they wanted to go the revetted-bunker route. 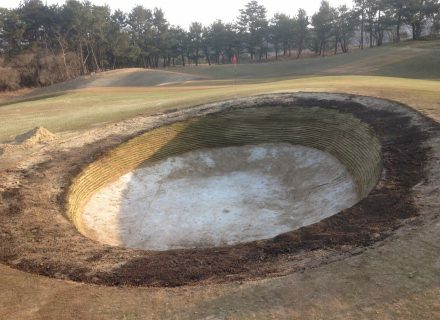 This seemed like the right solution for that environment, too. 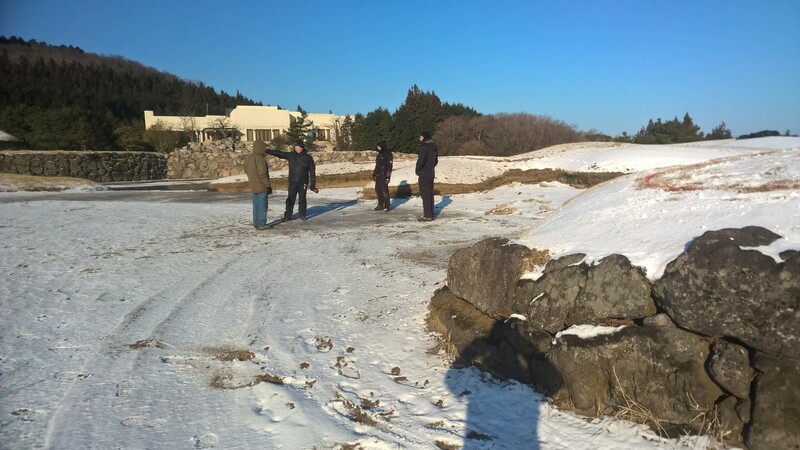 I had made a visit to Nine Bridges back in 2012, when we were analyzing the course as a potential President Cup site. 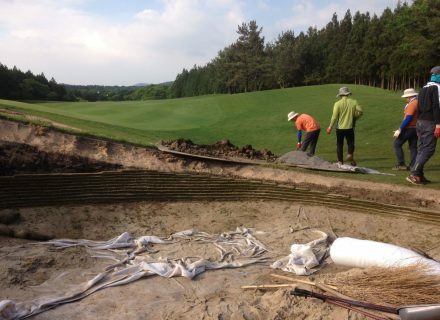 Fast forward to the fall of 2016: I was back at Nine Bridges and I could see several of the revetted bunkers had sloughed off. 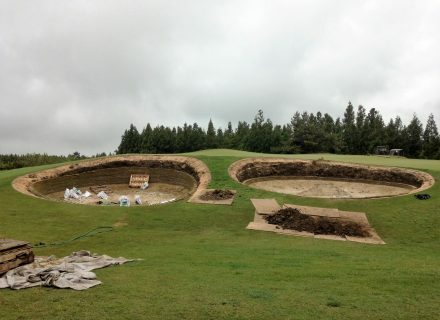 It came to my attention that they rebuilt them every other year and were planning to do so again. 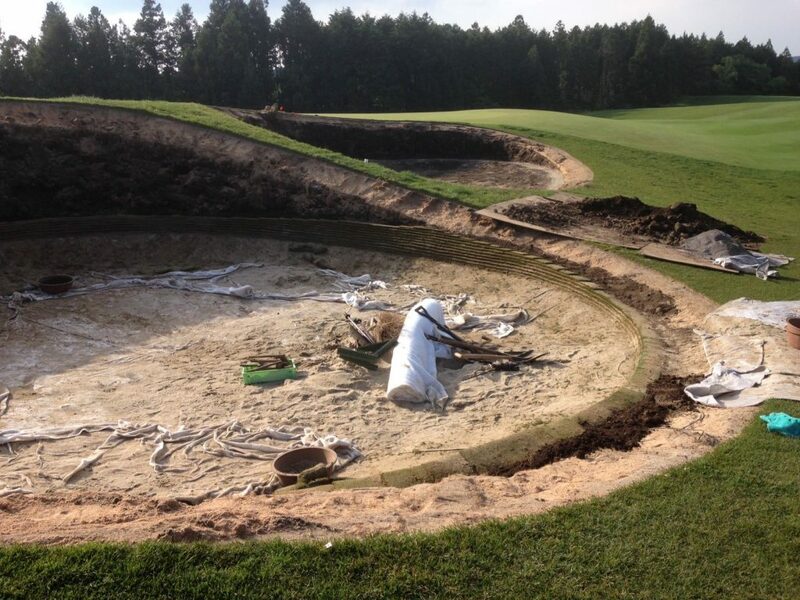 Do the math: That’s 9-10 times they’ve gone through that process. Of course, we’re putting a competition in there, so we wanted to ensure they’re viable. 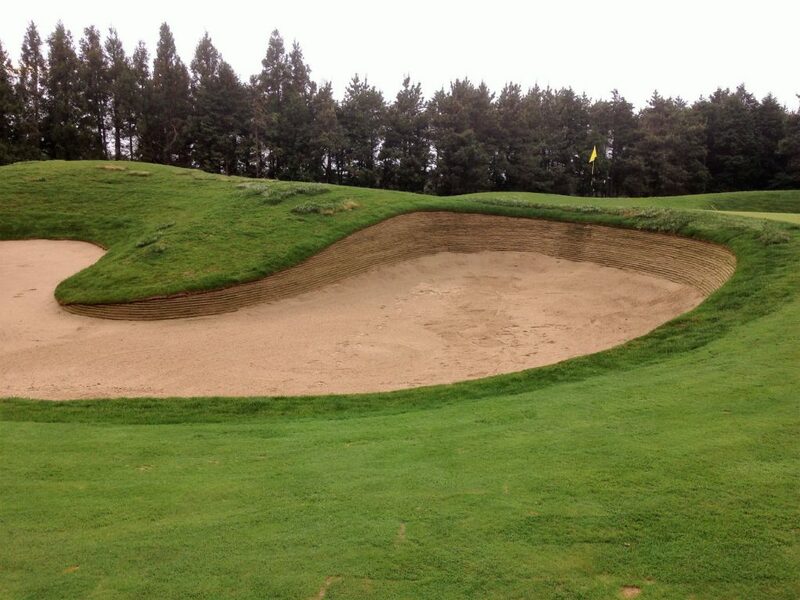 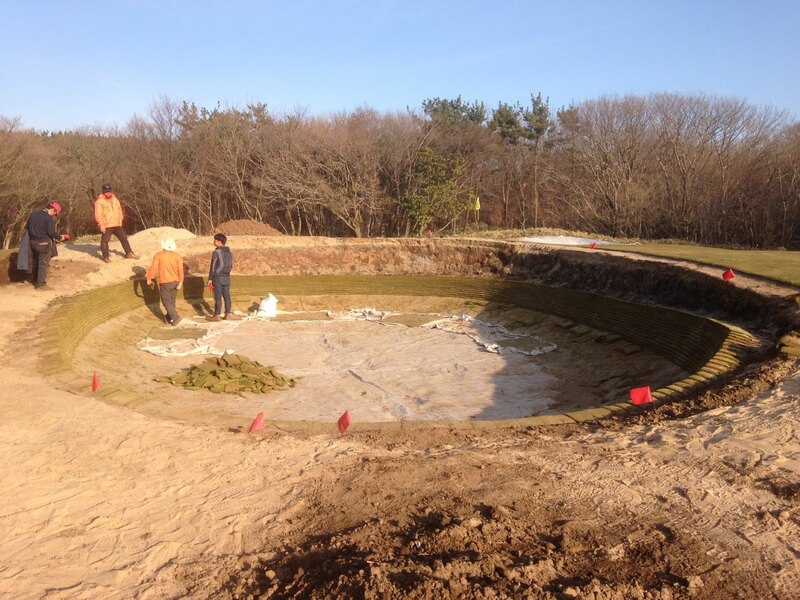 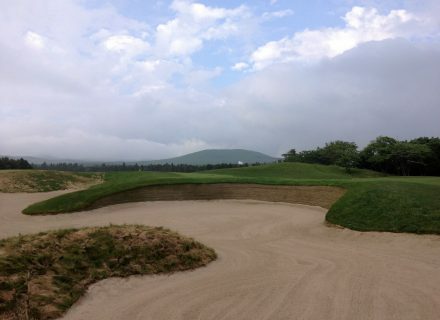 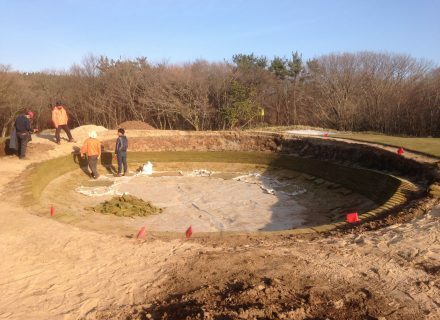 We did a test bunker, got buy-in and decided to rebuild them all using Durabunker. 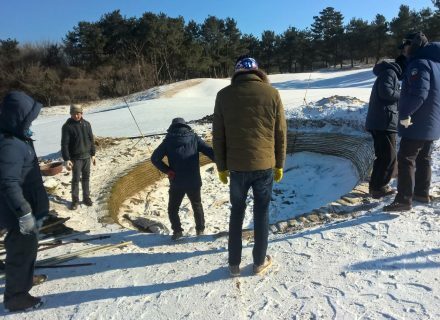 We’ve been impressed everywhere we’ve seen it done, and we did extraordinary due diligence before finalizing this decision. 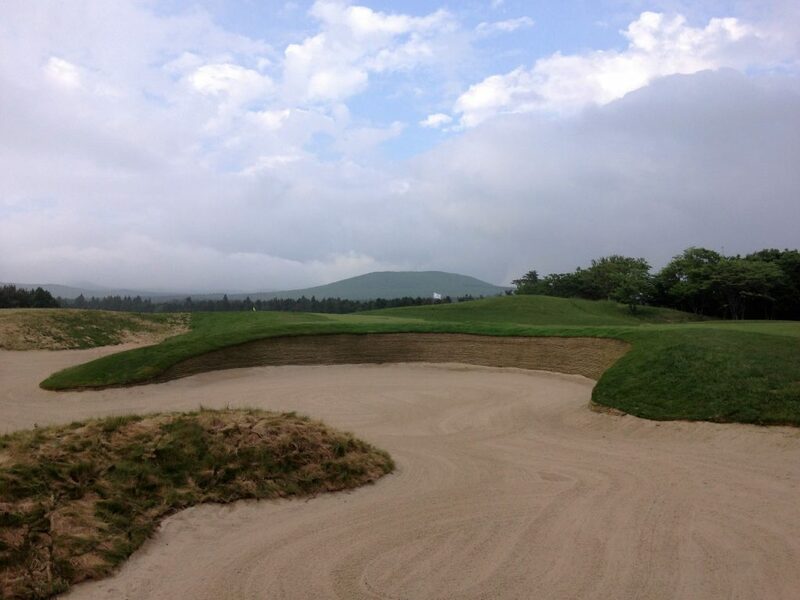 The playability over time is exactly what one would expect from stacked-sod, in terms of look and bounce. 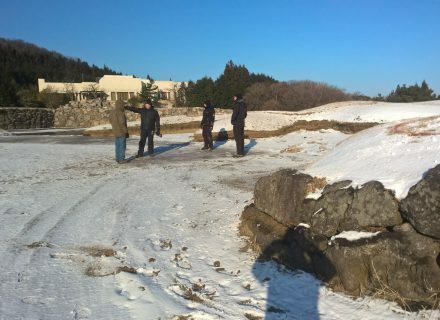 But the owners here are like owners anywhere: They thought it unnecessarily expensive and disruptive to rebuild with such frequency. Considering this product is built from 100 percent recycled materials, maintains design integrity, prevents sand contamination, and requires no watering, ever — there’s a lot to like. 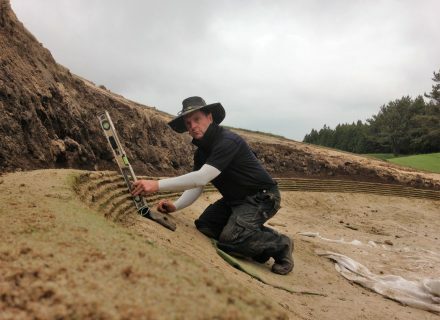 Durabunker input on site was really helpful, design ideas were shared and Durabunker Founder Rhydian Lewis and Construction Manager, David Deere, proved a very knowledgeable and valuable addition to our on site team.